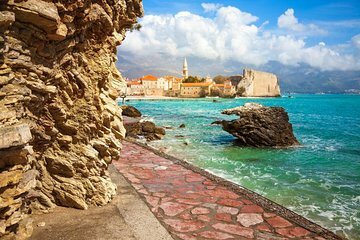 Explore an entirely new country during your time in Dubrovnik with this small-group guided day trip to Montenegro. Cruise south down the beautifully rugged coast, crossing the border and exploring the walled coastal town of Budva and then stopping for a while in Kotor, an ancient atmospheric town surrounded by high craggy mountains. Learn about the history of this diminutive Balkan country.